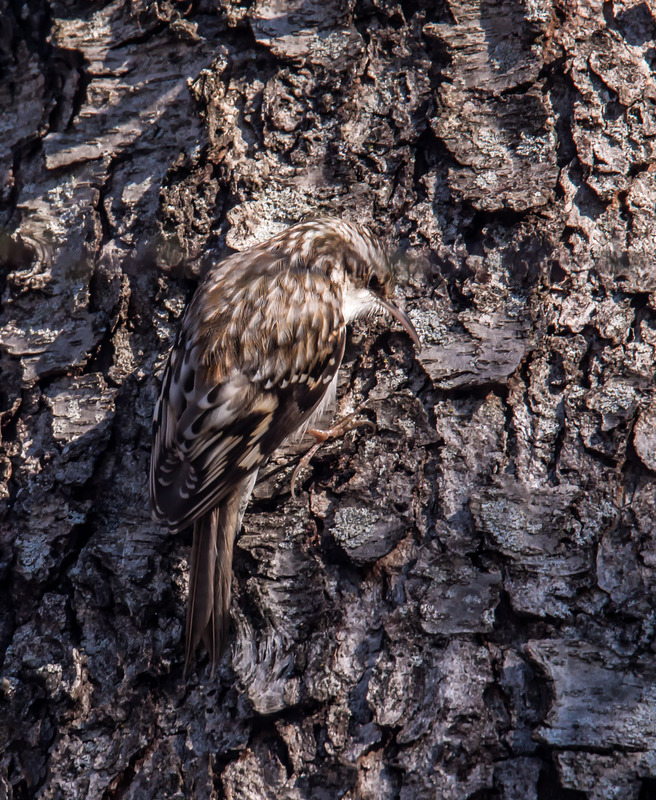 This Brown Creeper (Certhia americana) blended in so perfectly with the tree bark yesterday morning at Occoquan Bay National Wildlife Refuge that I don’t think I would have spotted it if it had not been moving. 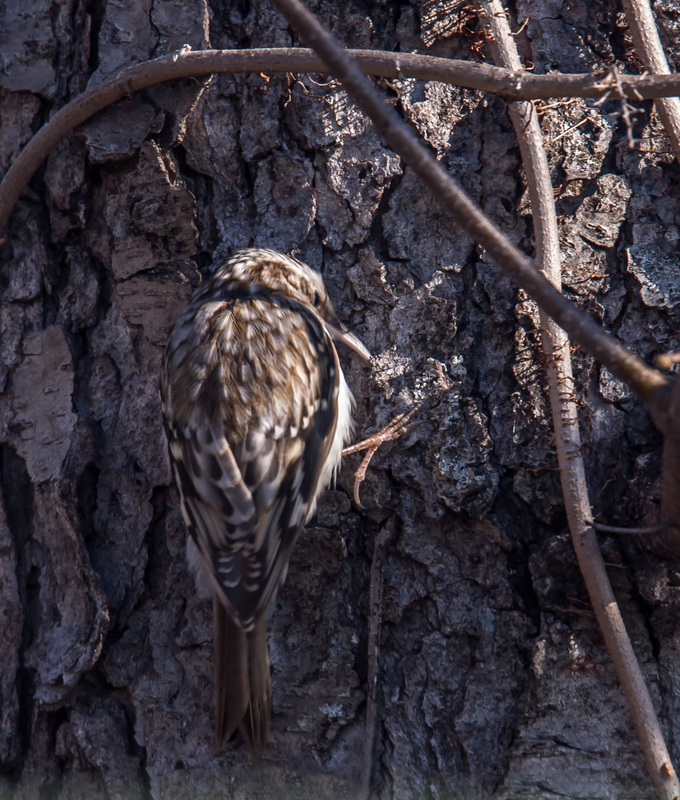 Brown Creepers are small in size, 4.7-5.5 inches in length (12-14 cm) and 0.2-0.3 ounces in weight (10-15 grams, and are in motion almost continuously, which makes them pretty tough to photograph. If you click on the photos below, you can see some of the cool details of this little bird, like its large feet that aid stability and its slender, curved bill used to probe for bugs in and under the bark. That is amazing how much it blends in! I was shocked at how well it is camouflaged. I am sure that it helps with survivability. I was absolutely thrilled to capture so many details. I had no idea that there were so many colors and patterns in the little bird’s feathers.